Alpacas are referred to as “green” livestock because their two toed feet are padded and do not damage the ground as they walk. They also do not chew grass down so far as to destroy its roots. Alpacas have only bottom teeth. They have a hard pallet on the top. Alpacas graze though out the day, either on pasture or grass hay. Their manure is called “beans”, which are not hot and can be used directly on gardens for fertilizer. They use a common dung pile, making clean up easier. They were domesticated more than 6,000 years ago by the Incas of South America. We raise our alpacas for their incredibly soft fiber. Alpaca fiber is measured in microns. Generally speaking, the lower the micron count, the softer the fiber. Not only is it some of the softest fiber, it is also some of the warmest fiber, warmer even than wool. This due to the hollow core of the fiber which traps more heat. Alpaca fiber has no lanolin. Frequently people who cannot wear wool because of lanolin sensitivity can enjoy wearing alpaca. Alpacas can live into their 20’s so they are a long lived companion. The fiber comes in 22 natural colors. Their elegant fiber was once used exclusively by the Incan aristocracy. Shearing takes place once a year. We use our fiber for spinning, knitting, felting and weaving. Alpacas are members of the camelid family, along with llamas, vicuna and camels. 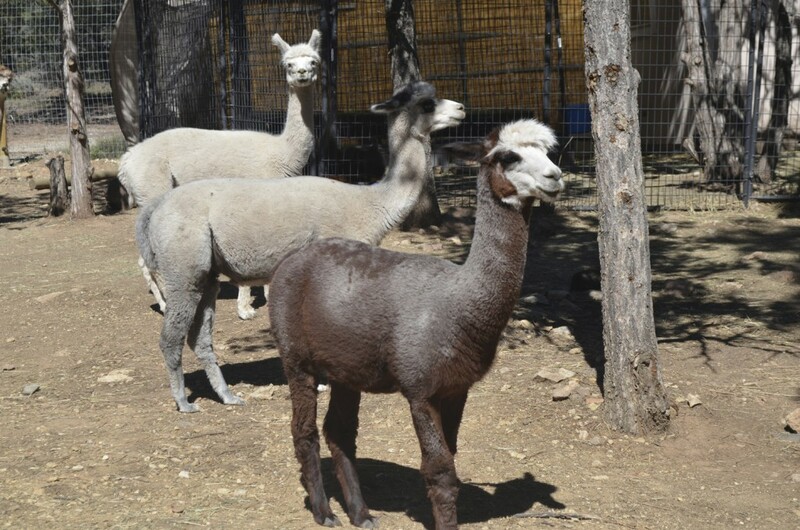 There are two types of alpaca; the Huacaya is more popular in the United States. Huacaya fiber is a shorter fleece. It contains what is known as crimp or waves in the fiber. This facilitates easier spinning. Suri is the other type of alpaca. They have a luxurious, longer fiber that does not have crimp. Humming is the most common sound alpacas make. They have a wide range of vocalization. They hum under a number of circumstances: happy, curious, board, and stressed. It is almost musical. They do have a high pitched alarm call as well.